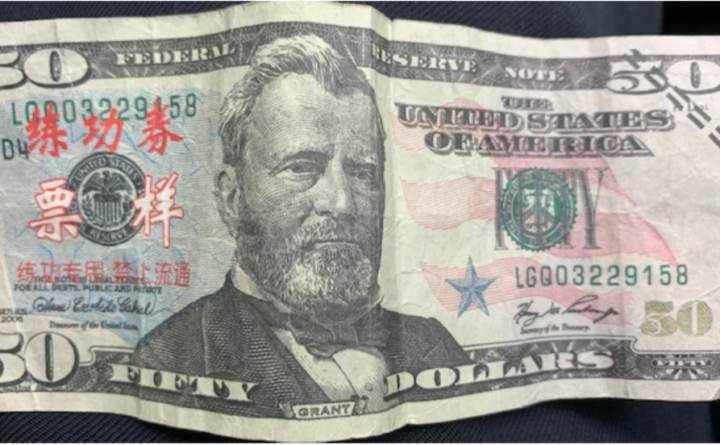 Bangor police said Monday that counterfeit $100 and $50 bills similar to this one are in circulation in the Queen City. Counterfeit $50 and $100 bills are circulating in Bangor, according to police. Three local businesses have reported receiving the fraudulent money, Sgt. Wade Betters, spokesman for the Bangor police said Monday. Some of the bills police have seized are marked with Asian lettering and symbols, Betters said. 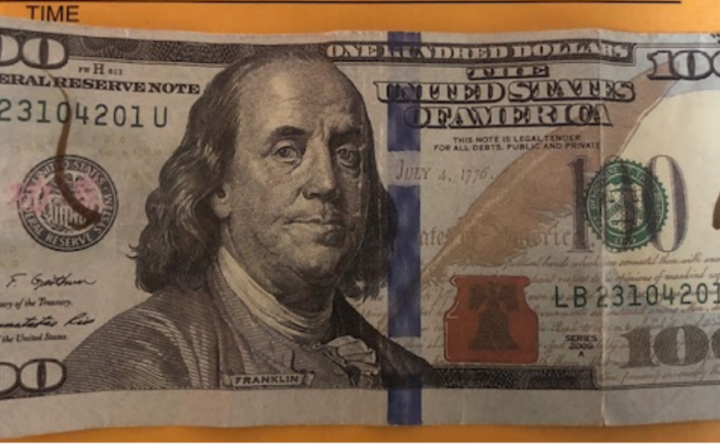 Anyone with information on whoever is responsible for the counterfeit bills is asked to notify the Bangor police at the anonymous tip line at 207-947-7384, option 5.